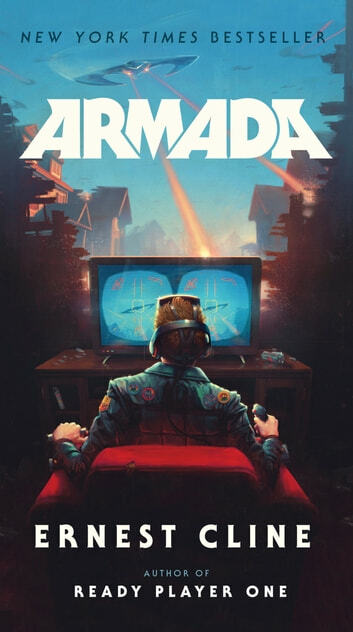 Especially because the alien ship he's staring at is straight out of his favorite videogame, a flight simulator callled *Armada--*in which gamers just happen to be protecting Earth from alien invaders. 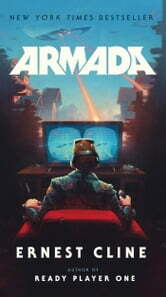 I finished reading "Armada" by Ernest Cline the other day. I have never read his other book "Ready Player One" before, making this my first experience of Ernest Cline. The book has a ton of pop culture references, especially gaming references. As a "gamer", I understood 90% of the references. The book in general is fun, lighthearted. It felt like watching a summer blockbuster movie. The books is also very short. If you just want to have a fun read, I recommend it. Disclaimer - This review is spoiler free. As a stand alone work of fiction, this isan enjoyable book. If you have friends who are serious gamers then much of this is more realistic than many would suppose. The events taking place are in no way connected to Ready Player One, so the sense of nostalgia come completely from how well Cline integrates cultural references into the framework of the story. There is a certain amount of predicability to the plot especially for those who read classic SF. All in all, highly entertaining, which is what I ponied up the money for. Story gets progressively more disjointed as it goes on. Really shows that author was rushed to finish the book. Loved it just like i loved ready player one!! This book was amazing! I loved it just as much as i loved ready player one! Cant wait for a movie adaptation!